Christopher Burgan was born in San Francisco, California in 1966. He has been blessed to work full time in the creative sector since starting his professional art career as a graphic artist for Jackson/Charvel Guitars in 1984. His work has been seen by millions of people around the world by way of companies and musicians who have utilized his talents. A short list includes: Kiss, Def Leppard, Heart, Journey, the Anaheim Angels, Walt Disney Corporation, IMAX Theaters, and the City of Glendora, California. 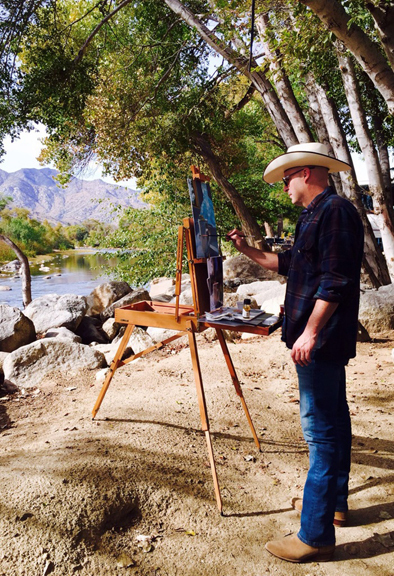 His deep desire to give back to the communities that have provided so many opportunities for him has led to a fruitful career as an art educator at both the University of La Verne and Glendora High School in the greater Los Angeles area. Copyright 2019 Christopher Burgan Art. All rights reserved.